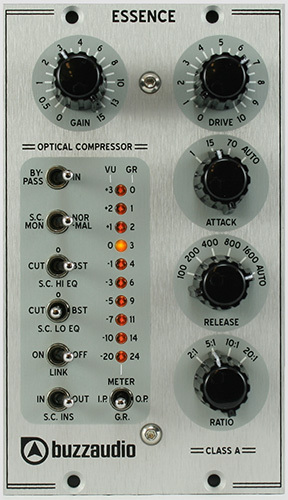 Buzz Audio currently produces three products that are compatible with the API* 500 Series module frames. These products feature a completely new design whereby our high speed True Class A discrete amplifiers are combined with very high specification Lundahl audio transformers. The resulting sound is something we believe to be new, unique and a true advancement in the art of analogue audio electronics. All these modules will add intensity and vigor to your recordings. Click on the image to read more about these exciting products.